The National Restaurant Association of India (NRAI) is likely to make a representation to the government over the next two days regarding the passing on of benefits of the lower Goods and Services Tax (GST) rates to consumers. NRAI has the country’s top fast-food chains, among others, as its members. 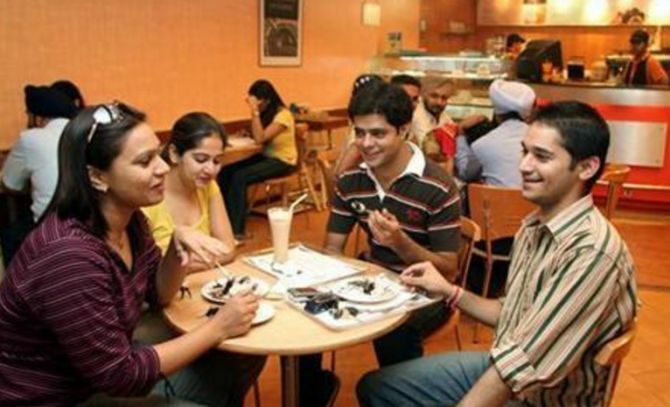 The government on November 10 had slashed the GST on AC and non-AC restaurants - excluding five-star hotels - to 5 per cent from the earlier 18 per cent and 12 per cent, respectively. But the input tax credit, a facility to set off tax paid on inputs with final tax, was withdrawn with the November 10 revision, prompting restaurant chains, including McDonald's to withhold passing the full benefit of the tax cut. Their argument was that the non-availability of input tax credit pushed up costs by 10-12 per cent, implying that the 13 per cent GST cut was tax-neutral. “While we welcome the move by the government to cut GST, it may have to relook the issue pertaining to input tax credit,” said NRAI president Riyaaz Amlani. Amlani is also the chief executive officer and managing director of Impresario Entertainment and Hospitality, which runs restaurants such as Smoke House Deli and Social. “If the consumer has to benefit on the pricing front, the rate cut will have to be tax efficient (to restaurants). Currently, it is not,” he added. Typically, input tax credit is given on rent, food and other items, and was available to restaurants before implementation of the GST as well. In a statement, a McDonald’s India spokesperson said it had passed on the benefits of lower GST, wherever it could, to consumers: “We have substantially reduced the prices of some of our flagship products. Chains such as Domino's, KFC and Pizza Hut were not immediately available for comment. But last week, McDonald's had found itself in the line of fire after consumers complained on social media that the chain had not brought down prices despite a cut in the GST. The issue had prompted the government and the Central Board of Excise and Customs to step in, asking McDonald's and other restaurants to cut prices immediately or face action.